A brand new survey of tech-user attitudes across Europe gave VELUX valuable input on how to optimize the market fit for new Smart Home solutions. How do you achieve the best market fit for your company’s future consumer tech products – and how should you design your communication to meet the prospective buyers? design-people’s Tech-user Navigator for Europe provides insights in these matters. The new segmentation tool was co-created with four tech-companies, one of which is Danish window manufacturer, VELUX. According to Christian Holmershøj Eriksen, Market Prediction Analyst, VELUX Group, the new descriptions on European consumers’ attitudes, motivations, use patterns and buying behaviors for a variety of tech products and online services, came in very useful for the company’s strategic work. The Tech-user Navigator segments are both concrete and clearly defined, and they were thus easy to adapt to our product innovation and communication. Both Germany and France are key markets for us, and they were included in the analysis. That gives us some very solid segments to work with. The Tech-user Navigator toolbox builds on a survey of 1200 consumers in France, Germany and Scandinavia. A statistical cluster analysis has condenses the research data into five comprehensive user profiles; Super user – Social junkie – Pragmatic – Nester – Tech-timid. 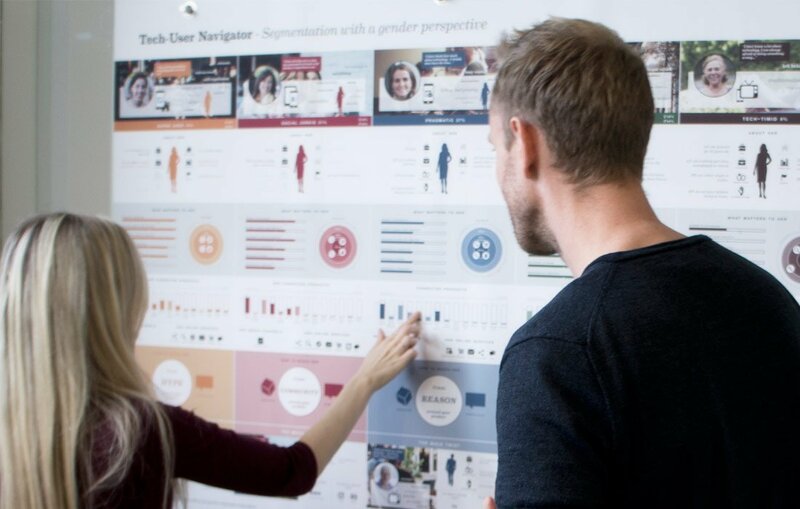 Workshops for applying the user profiles in product planning, concept evaluation and communication planning are an essential part of the Tech-user Navigator toolbox. Do you want to know more about Tech-user Navigator?